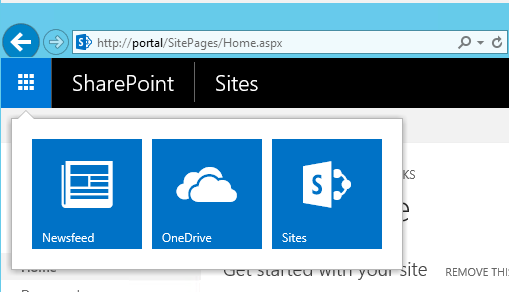 SharePoint 2016 OnPremise now contains the AppLauncher in the upper left corner like Office365 already does. How can i add/modify/remove those links in an OnPremise-only installation of SharePoint 2016? The requested feature has been implemented with SharePoint 2016 FeaturePack 1 which was release in November 2016. The feature is also shipped with SharePoint 2019 RTM. The new tile will be displayed within 24 hours to the users. 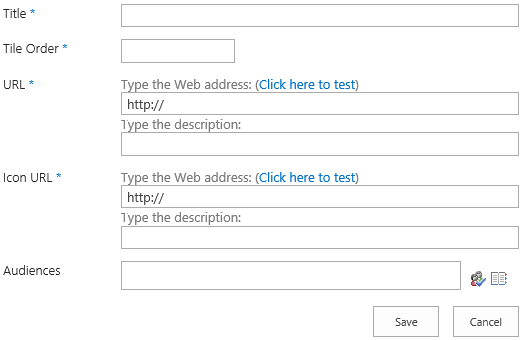 You must have full hybrid integration (hybrid Sites) with SharePoint Server 2016. I worked with Vlad Catrinescu yesterday to get this working. You can 'Add a tile' from the O365 Administration center and it may take 24 to 48 hours to boil back down to on-prem. You cannot directly customize it, the tiles will only come from O365. According to this blog post, it seems to be impossible in the current version of SharePoint 2016. UPDATE: See note above regarding Feature Pack 1. We got it to work. Not the answer you're looking for? Browse other questions tagged sharepoint-on-prem 2016 applauncher or ask your own question.